On this day in history, June 13, 1783, the 1st Rhode Island Regiment is disbanded. 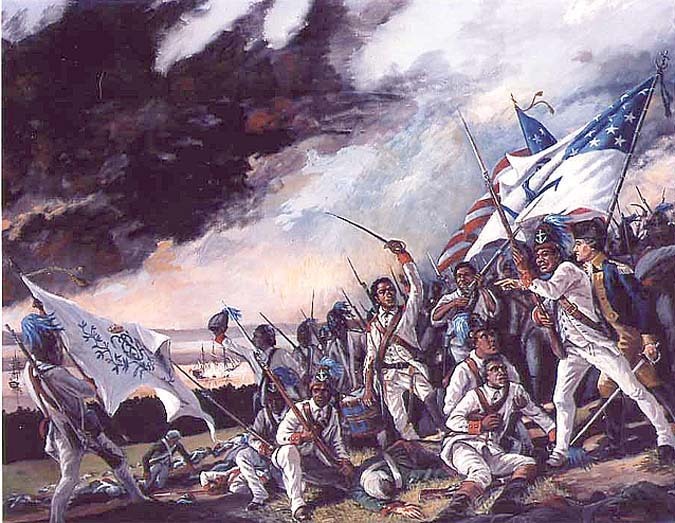 The 1st Rhode Island Regiment was the Revolution's only regiment to have units made up entirely of African Americans. The regiment was not all black, but was at one point at least ¾ black. 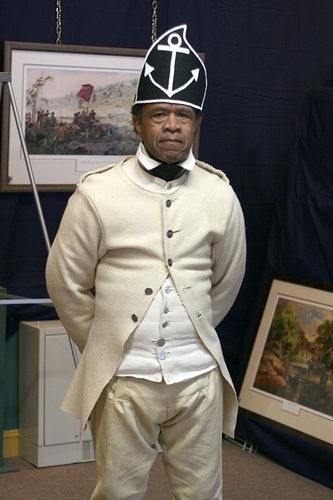 The regiment had white officers and other white, Indian and mulatto members, but it was unique in that it had entire units made up of former slaves, while other regiments with blacks were more integrated. The use of slaves or former slaves in the American Revolution was controversial. Many whites did not like the idea of arming slaves because they thought it might encourage a rebellion. Under direction of the Continental Congress, George Washington issued an order early on forbidding the service of blacks in the Continental Army. Nearly simultaneously, Governor Murray of Virginia issued an order granting freedom to any slaves that would leave their masters and join the Royal Army. As the war progressed and the states found it hard to fill their quotas of soldiers, voices began to rise advocating the use of slaves and free blacks. By early 1776, Washington had changed the order to allow free blacks with former military experience. The following year he allowed all free blacks. In 1778, Rhode Island's capital Newport was occupied by the British. The rebel legislature could not fill its quota of soldiers asked for by Congress. Rhode Island Brigadier General James Mitchell Varnum recommended to General Washington that slaves be taken into the ranks. Washington sent the request to Governor Nicholas Cooke. In February, the Rhode Island Assembly voted to allow all slaves to join the 1st Rhode Island Regiment. They were to be granted their freedom for their service and their owners would be compensated by the government. Around 200 blacks eventually joined the Regiment, which saw its first celebrated action at the Battle of Rhode Island in August. The green African American regiment fought valiantly in an effort that allowed the besieged American troops to retreat with few casualties, while inflicting serious casualties on their attackers. The "Black Regiment," as it was called, was commanded by Colonel Christopher Greene, a cousin of General Nathanael Greene. Colonel Greene and many of his black soldiers were killed by Loyalists near Groton, New York in 1781. The Regiment did not see a lot of action since the main theater of the war shifted to the south, but they did play a role in the Battle of Yorktown. The regiment was disbanded at Saratoga on June 13, 1783, having served for five years of the war.